Source: Dino Ahmad Ali, Freebassel, 2013. Source. It has been one year since Syrian-Palestinian software developer Bassel Khartabil, also known as Bassel Safadi, disappeared from his prison cell in Syria. 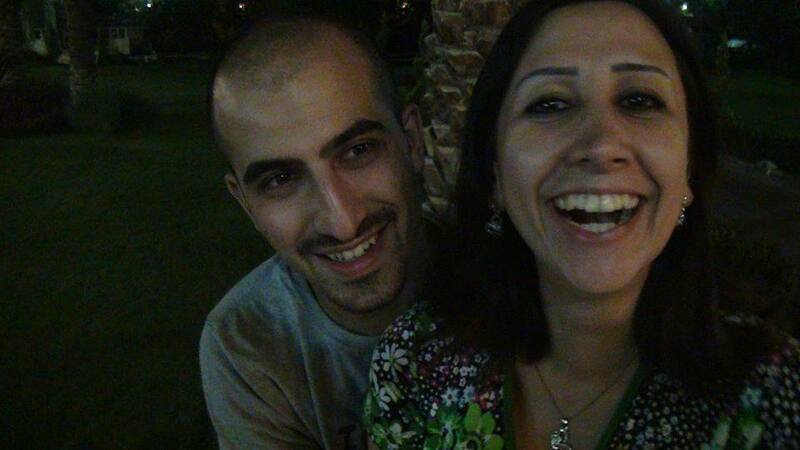 I've just gotten disturbing and shocking news that Bassel has been sentenced to death. I think this means that the transfer to military prison was very dangerous. I really don't know other news. May God help him, we hope it's not too late. We are worried sick about his life. These details on Bassel's location and condition were never confirmed, and no further information has been confirmed since October 2015. This is only the latest chapter in the story of Bassel's imprisonment and disappearance. Electronic Frontier Foundation, “Offline” project. Licensed for reuse..
A Creative Commons leader in Syria and active in projects like Mozilla Firefox and Wikipedia, Bassel is credited with opening up the Syrian Internet and extending online access and knowledge to the public. According to the European Parliament, his detention is part of Syrian government efforts to restrict access to online communities and stifle freedom of expression in the country. From March through December 2012, Bassel was held in a military intelligence base in the Kafr Suseh section of Damascus. At the end of 2012, he was transferred to Adra, where he was afforded occasional visits with family. In 2009, I was honored to have my body and soul with you in Beirut. That meeting taught me a lot and charged me for the next years of civic activism and for the now, with more challenges facing activists, bloggers, and countries. I know for sure that your future is in your hands, and it will be bright since you are still meeting! I'm honored again to have my soul with you in this meeting while my body is still locked in jail. Which doesn't matter since we will win the future. On 3 October 2016, Ghazi posted a long reflection (below) on the pain she has experienced since his arrest, and in particular, since his disappearance. Her hopes that he is still alive are dwindling. A year where life goes on, but not mine. My life stopped with Bassel. Bassel isn’t coming back and every day the hope that he will ever come back fades away. Maybe I need to start dealing with his disappearance rationally and logically. It’s harsh to think this way, and even harsher still to feel that there is nothing to wait for. But I have to start facing reality, the reality of Bassel’s absence. At the 2016 iGmena summit in Tunis, Global Voices contributor Leila Nachawati Rego remembered Bassel as well as prominent Egyptian coder, blogger and activist Alaa Abd El-Fattah, in prison for over 840 days, and Iranian Web Developer Saeed Malekpour, in prison for over eight years. The Global Voices community has called for Bassel's release since 2012. We repeat our call on this sad anniversary in the hope that it will be our last.